Help Is Here! 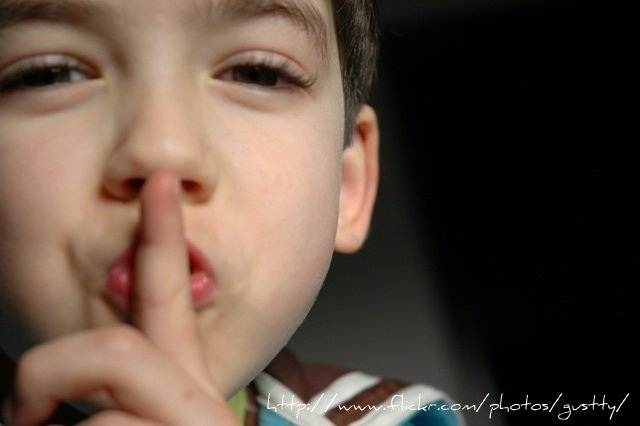 Ideas To Quiet the Kids. My daughter’s second grade teacher pointed out to me recently how truly amazing school aged children are to be able to harness all of their energy into listening, paying attention, walking in straight lines and staying quiet for almost 8 hours every day in school. It is no wonder that during recess on the playground and on the bus ride home from school chaos seems to rule. 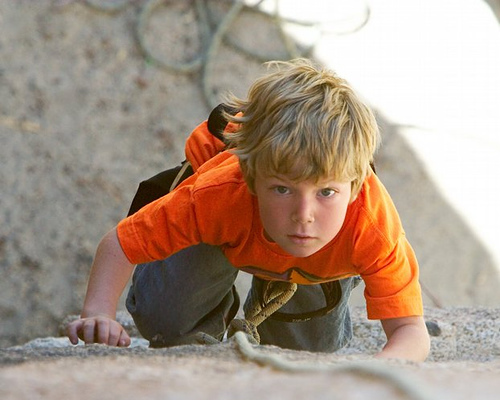 All of that bottled up energy is ready to explode by the time our children have a moment of “free” time. 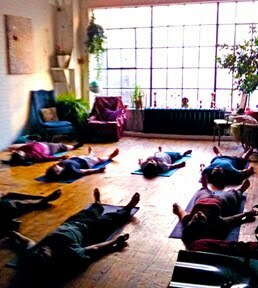 As a yoga instructor teaching my classes after a full day of school, I have often struggled with how to rein in some of that energy that naturally needs to come out. I often wonder where that balance is between needed energy releasing and a calm class environment. I have found a few ideas that help to bring the energy level back down. These ideas can easily be tailored to work in your own home. I often have excited kids running into my class eager to get moving. I hate to begin class with a negative comment but also am not fond of starting my class with kids running around the studio. To get the kids ready for yoga as they walk into the room, I meet each child before they enter the studio holding a few objects in hand. Explain to the kids that the twins of these objects are hidden in plain sight around the studio. The kids must stand at a designated wall quietly and use their eagle eyes to search for each object. When they have found all three objects, they must find a mat and sit quietly until everyone else is sitting. The game “Yoga Toes” always seems to quiet the room down. Scatter small pom poms around the room and have the kids collect the pom poms with their toes by crunching them around the pom poms and walking them to a designated area with a cup or bucket for dumping. In class, I tend to avoid games that create competition with each other and instead play the game twice having the kids remember their first number of collected pom poms and try to best their own score. This game takes a lot of concentration. Coloring is an activity that any child can do and using some quiet background music sets the tone. I print out mandalas and use the time coloring to help foster calmness. If done without a lot of speaking, mandala coloring is very meditative. This idea gets the kids working hard on their own. I have many types of cards depicting yoga poses. Hand each child 5 cards. Go over all of the poses with the children as a group and then have them come up with their own sequences—trying to find the one that flows the best. When they have worked out which sequence moves best from one pose to the next, have them teach the rest of the class. Lately I have started my classes with a little mediation. I light a candle and have the kids sit quietly looking at the light. We started with one minute and will be working ourselves up to 3 minutes. It is amazing how hard being still and being quiet is for some kids. I know many adults that to this day cannot sit still with themselves. What an amazing skill to foster. 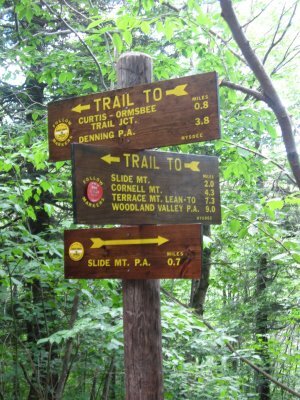 I hope these ideas help when needed. I’d love to hear some ideas that you have to create a peaceful and calm environment in your studios and homes. I recently treated myself to a couple of new cookbooks for some culinary inspiration. I have been thrilled by my choices and thought that I should share my finds. 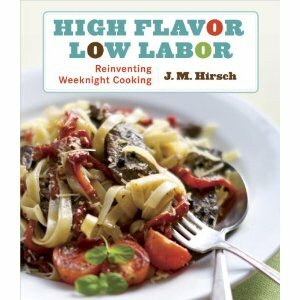 The first book is called High Flavor; Low Labor: Reinventing Weeknight Cooking by J.M. Hirsch who is the food editor for the Associated Press. His book is full of tasty dishes that veer away from the typical dinner menu just enough to make the dishes unique but not enough to have any family revolts. In fact, my family consists of a very picky eater (no names will be mentioned here… you know who you are) and two more adventurous eaters that each have their own, and usually opposite, tastes. I have had great success! How can a family resist Bow Tie Pasta with Bacon Pesto. Yummy! Hirsch’s recipes are simple, straight forward, quick and result in simple meals packed full of great flavor. 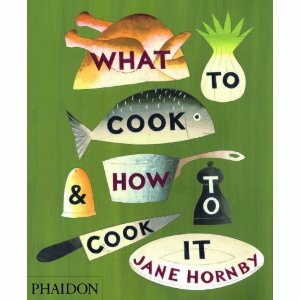 The second book that I bought is called What To Cook and How To Cook It by Jane Hornby. I first saw this cookbook in the store Anthropology. It’s that kind of book. It was published by Phaidon which in itself tells you that it is special. Phaidon publishes books on art, food, design, photography and architecture. The beautiful thing about this cookbook is its emphasis on comfort food, the simplicity of its recipes and its layout. Each recipe has a full picture showing every ingredient in the depicted amount and gorgeous photos of each step of the cooking process. This book makes cooking easy enough for kids who can read and really fun for those of us who have been cooking dinners for a while. My new session of classes begins tomorrow. I have been giving my teaching style and class planning a lot of thought lately. My last session had two classes that were challenging. I have been evaluating what I did and what I can do this time to make class time more positive for all, including me. My desire to teach was inspired by my own yoga journey. Through yoga I found out a lot about myself in ways nothing else was able to do. I was always athletic and involved in sports but it was yoga that lead me down a mental and physical path that has allowed me to navigate my life more positively. That is why I teach. I want to give to my students—at their very young ages—tools that will help them live life knowing themselves well and show them how to work with life’s inevitable discomforts. I did not feel as though I was effectively teaching those skills last session. There were multiple reasons. Some of the kids did not want to be in class. They were sent to yoga because a sibling was going or because a parent was interested in working out for those 45 minutes. I found that the negative attitudes that came through the door each week from a few students turned the whole class around. Another reason my class dynamic shifted was that I found myself catering to the high energy needs of a few instead of creating an environment where these kids were challenged to meet my higher expectations. I relied more on yoga games and movement without balancing the class with the hows or whys of the poses and how yoga can be applied to their lives. My plan this session is to teach and connect and if there is time for a game at the end we will play. I realize that my classes still consist of children and children learn by playing. However this time class will begin quietly with discussion and reflection before moving on to movement. We will concentrate on fewer poses but will really learn the hows and whys behind them and how they apply to life. I have created a checklist that has a number of poses, divided into groups of pose benefits, that I will teach and check off for the kids once they have demonstrated their understanding of the pose. In teaching this way, I am hoping that by the time the kids enter my 8-11 year old classes they will have enough of an understanding of yoga to begin more work on vinyasa, more discussion on alignment and deeper reflection on how to apply the lessons learned on their mats. Most studios allow teens to take adult classes. My classes will be building blocks toward taking classes in their teens and onward. I fear that this all sounds so obvious. However, my training emphasized a lot of play and storytelling and fun. I believe that those elements can be used within a tighter curriculum of expected learning. I am excited to begin to teach more and continue to learn more from my kids this session. I’ll be keeping you all posted with my trials and tribulations.